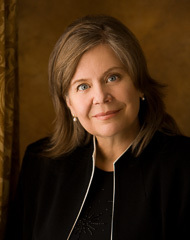 Linda Margetts is one of five organists at the Mormon Tabernacle, Salt Lake City (1984 to present) where her responsibilities include playing noon recitals, accompanying and working with the Mormon Tabernacle Choir, teaching in the choir school and participating on the weekly broadcast of Music and the Spoken Word. She accompanies the Temple Square Chorale and plays with Bells on Temple Square. As an Adjunct Assistant Professor at the University of Utah (1999 to present), she teaches organ performance majors and is coordinator of a group organ program. She is an active recitalist, playing over 30 recitals a year at the Mormon Tabernacle. She has also performed in Armenia, Israel, Canada and the United States. Her past service in the American Guild of Organists includes Dean and State Chairman positions. She is F.A.G.O., a Fellow of the American Guild of Organists; their highest degree. Dr. Margetts holds bachelor and master's degrees in organ performance from Brigham Young University where she studied with Dr. Parley Belnap. She received a Ph.D. in music composition from the University of Utah. She and her husband, Bert, are parents of six children.